From their vantage point as local laundromat owners, Todd and Toni Santoro saw a prime opportunity to give a new business a spin. That was in 2008. CleanWash Laundry Systems has since grown into a multi-million dollar sales and service organization. 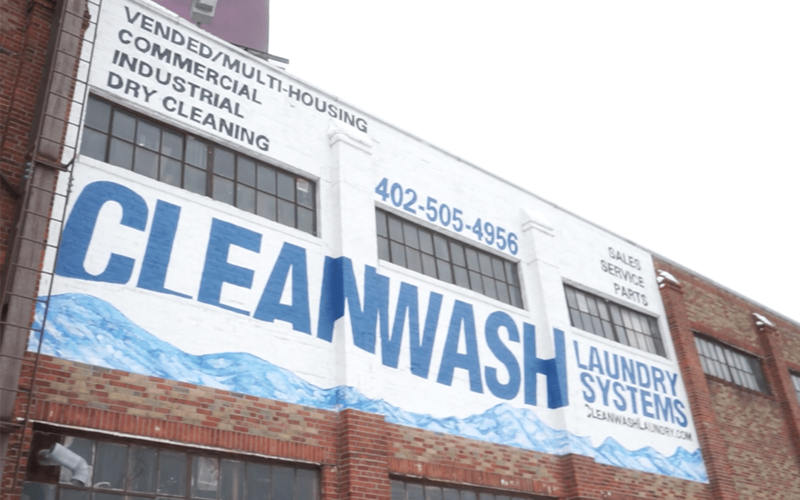 With its team of six full-time employees in Omaha and sub-offices across the Midwest, CleanWash provides commercial, industrial and vended laundry equipment, parts and service in Nebraska, Iowa, North and South Dakota, Kansas and Missouri. “Our philosophy is to be a partner to our commercial customers, providing the best combination of value and service. We will avoid any business path that has the potential to create an ethical conflict of interest,” says Todd Santoro, president, CleanWash Laundry Systems. “There are two truths in business: you’re going to mess something up for a customer, and that mistake is an opportunity to show a customer what you’re willing to do to fix it. That opportunity gives your customer confidence that you will take care of them, and it gives your employees the knowledge to not make the same mistake again,” Santoro says. “The nature of our business being a niche means the majority of our employees come to us new to our industry,” Santoro says. “Through on-the-job training, web-based classes, and factory training programs, we try to provide our employees a basis where they have the knowledge to feel comfortable in their responsibilities. “Our company takes great pride in ‘adopting’ fire departments, animal rescues and women’s shelters. We provide equipment free or below cost and, often times, provide free service. Additionally, we make financial contributions to the Orpheum and Omaha Zoo, provide mentors to local schools, and have worked with various state and religious programs to provide vocational training,” Santoro says. Want to learn more about CleanWash Laundry Systems? Check out the company’s website.